Think ST Solutions is a food consultancy offering practical solutions to both management and staff in hospitals, aged care facilities, restaurants, hotels and the food industry. We specialise in food safety, strategic planning, business management, risk and compliance training and business consultancy solutions. Andrew Thomson is the company director for Think ST Solutions. He is also a board member of a not for profit community meal service. 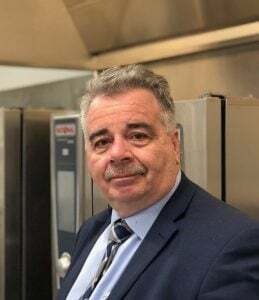 With over twenty years of experience in this field working in state and local government health departments, food service operations and registered training organisations he has provided consultancy advice and business solutions to government agencies and private sector organisations including to the broader food industry. Andrew has worked in Victoria, South Australia and Tasmania as a regulator and in the professional services industry, providing expertise in the areas of food safety, quality assurance, training and consulting. He is seen as a leader in his field. Andrew has also been involved in organising a state conference on behalf of the Food Hygiene Advisory Committee and the Department of Health for the food industry and its regulators. He also took part in organising a one-day international symposium for the Victorian Government and Australia New Zealand Food Authority for Codex Alimentarius members. Recently, Andrew was employed as a consultant at the new Royal Adelaide Hospital to drive the implementation of the HACCP system operating on a cook fresh and cook chill system. Andrew has presented at a number of conferences on staff training, food hygiene and food safety issues in both Australia and New Zealand and been invited to undertake radio interviews in the United States and in Australia. He is a regular blogger and contributing writer to industry and consumer magazines and newsletters on issues of risk, compliance, food safety and training. Andrew has qualifications in adult education and training, environmental health, HACCP and auditing. His experience and qualifications well position him to assist both food industry professionals and food regulatory agencies. At Think ST Solutions, we understand that the success and good reputation of your food operation requires the input of many different components. One of the most important of those is the implementation of sound business practices which includes having access to up-to-date information. We help you with practical, innovative and accessible business advice about the food industry that comes directly from experienced industry professionals. Our diverse team of experts will provide you with a comprehensive approach in solving any question, problem or concern that may arise in your operation. Our established long term relationships with Commonwealth, State and Local Government agencies will ensure that you achieve superb results and keep you on track. We customise our information to suit your needs and to help you in achieving your desired goals and objectives. practical management systems and solutions. We work with you to add value by identifying and assisting in the development of approaches to manage risk and compliance matters at the operational level. Our tools have taken the legislative food laws developed by regulatory agencies and put them into easy downloadable products that you can begin using today. You will begin to understand what food safety risks may exist within your food operation and what you can do to prevent them from creating any problems to you or the public.All of our products can be tailored to the needs of your operation or we can build risk management program unique to your business.